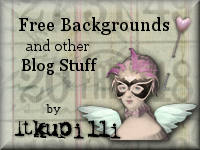 Hello and welcome to my blog - new friends and old! I’m so excited to be participating in this event again. Last year was my first time and I found it such a rewarding experience in many ways. For those of you who don’t already know me, let me introduce myself - I’m Sherry from just outside London, England UK. I’m fifty, fat and fabulous - well, I’m two of those things anyway! I live with my very understanding husband John who has to put up with my absences as I’m prone to disappear to my craft room for hours at a time! Sound familiar? It’s lovely to meet you all - kindred spirits! 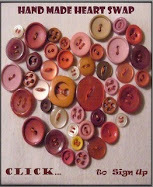 I love trying all sorts of crafts - ATCs, altered art, paper dolls and am presently into all things fabric. I also love blogging and that brings me to what this post is all about. If you click on the OWOH logo above you’ll be taken to Lisa’s blog A Whimsical Bohemian, who has organised this event for the last four years and tells you all about it. In brief it’s a worldwide event open to all active bloggers (whether or not you are participating in this event) and gives us an opportunity (by visiting blogs) to get to know each other and also the chance to win some prizes! We all love prizes don’t we - I know I do! I have on offer here four prizes and if you’d like a chance of winning one of them all you have to do is leave a comment on this post, making sure there is a way I can contact you if you are a lucky winner and also so I can visit your blog too. The winners will be picked at random and will be announced here on my blog on Thursday 17th February and I will email them telling them the good news and as soon as I have the postal details, will send the prizes off. This little bag (measuring approx 10”x6”x3”) is made from 100% cotton fabrics in a patchwork style, each patchwork square is padded with a thin layer of felt. I made the bag following a video tutorial from Chic ’n’ Scratch live. I didn’t have the exact Sizzix Bigz die used in the video, but instead adapted one I did have called ’Tag, Super Scallop Crescent’. For the outside, I used a fun patterned fabric called ’'Travels With My Aunt' from Woodrow Studio. On the plain squares, I did an assortment of rubber stamping (with Distress Inks) such as European postage marks and stamps (since the travels on the fabric were all around Europe). I think this makes a great little sewing bag, so to go with this prize is a cute little pear shaped pin cushion. I got the pattern from this blog. Mine is rather skinny though as I only used four panels of fabric and I added a large button at the bottom so it can stand upright and keep all your pins safe! This is a fabric hanging measures approximately 6 ½” x 7 ½”. It is a mixed media piece made up of a piece of cross stitching, music paper, lace, buttons and a rusty old key! If you want to know more about how I made it, further details are on a previous blog post here. All it needs is a small piece of dowling to go through the lace hoops at the top and it’s ready to hang! Clarinda has featured on my blog recently and if you want to see some more photos of her have a look here. is moveable (and likes to dance!!). Her head is moulded from air dry clay and painted with acrylics and pens. Her hair is a thick unravelled cord. She’s wearing a ribbon skirt and a knitted top - and stockings too although they don’t show up very well. She’d love to dance her way to your home - just leave a comment and she might do just that! PRIZE No. 4 - Tim Holtz inks! ﻿There are two Distress Ink pads, ‘Dried Marigold’ and ‘ Scattered Straw’ and two bottles of alcohol inks (both from the ‘lights‘ range) - ‘Shell Pink’ and ‘Salmon’ They are all brand new and unopened - Santa left these in my Christmas stocking but I already had them! To recap, to be in with a chance of winning a prize all you have to do now is leave just one comment on this post. The winners will be announced here on my blog on Thursday 17th February - please make sure there‘s a way I can contact you! and check out the list of other participants. - and to thank Lisa for all her hard work in organising this fantastic event once again! Sherry, your give-aways are amazing. Happy OWOH! i would love to win one of your giveaways! Clarinda is amazing! i used to make paperdolls as a child and now i want to make them again! thanks for the chance! Hi, Sherry, It's been such fun following your blog. Your gifts are fantastic. stopping by to say howdy. Your work is gorgoues ( i have the proof in my craft room). Hi Sherry, It's a pleasure to meet you! Please count me in for one of your fantastic prizes! Thank you! Your give away's are fantastic. And you have a wonderful blog. How do you doody Sherry, I have you on my blog list and don't always leave a comment but today I am going to. I just love your prizes and that doll is so cute. If you can please drop by my blog for a chance to win a prize. Happy OWOH event and creating too. What a generous soul your are! PLease add me to your drawing! Hello, what generous prizes. I am new to OWOH, what a great idea it is, shame it's the last year, I would have enjoyed participating. Hi Sherry, I'm so glad to meet you through OWOH, thank you for stopping by my blog and for your nice comments. Great door prizes! Thank you for tossing my name in the hat! Nice to meet you Sherry. 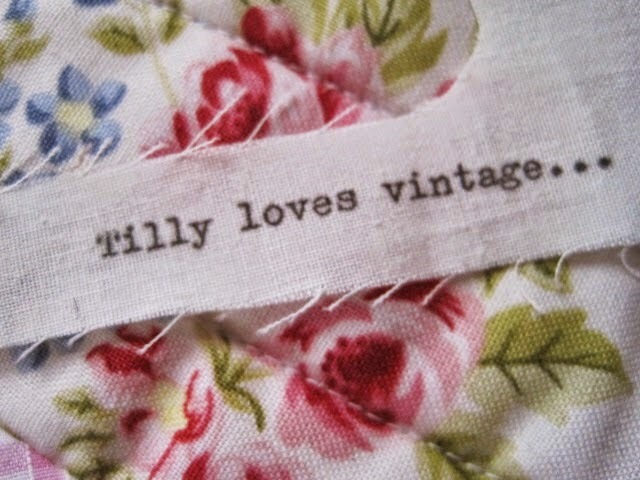 I just love your rag patchwork bag - please put my name in the hat for a chance of winning. I had fun browsing through your blog-- What fun! It was great getting to know a little about you. This my first year participating in OWOH!! 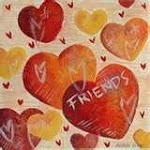 I am Enjoying getting to know New friends! Hi Sherry & thank you for stopping by & for your sweet note! Love your prizes! You are very geneorous! Nice to meet you and your blog, Sherry! I´d really love to win the stamp pads and inks, so please enter my name in your drawing and hop over to my blog when you have a moment. Gorgeous creations ! great giveaway!! fabulous giveaway!! count me in for the drawing please. Fun prizes - add my name! What lovely giveaways...your blog is always full of inspiration! Nice to meet you! That is so cute! I would love to be in your giveaway, please count me in. Thank you! What a wonderful fluttering of items of creativity you have to show. It has been fun to admire your work and thank you for sharing so much of yourself. I do hope you will stop over and see me on my blog as well as I am participating in the OWOH as well. 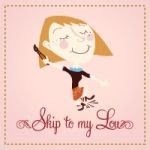 Thank you for stopping by my blog and giving me a chance to come check out your blog, your stuff is adorable! Hi Sherry, your prizes are wonderful. Thank you for a chance to win. What wonderful gifts! I enjoyed my visit with you. I hope you will visit me, too! Stunning artwork and wonderful prizes - hope I'm a lucky winner !!!! Your prizes are fab !! I would looooove to win !!! Thanks for the chance and happy OWOH !!! Glad I found you last year on OWOH. I've enjoyed your posts very much, especially the match boxes and paper art dolls. I'd love to win any of the items you are giving for your door prizes. Fingers, toes and all crossed! Oh my! I love eevrything here! But if I had to choose a favourite, it would be the doll then the beautiful bag. Sherry, you have made some beautiful give aways. Some folk are going to be very lucky to receive one of your creations. What a fun and entertaining blog! Your work is lovely, really charming, and I especially like that cute paper doll. I'd love to be included in your draw. Please do stop by and visit me too if you have time. G'Day from Brisbane! The fabric rag quilt bag w/pin cushion and the inks are fabulous! Thanks so much for stopping by today and visiting me for One World One Heart from all the way across the pond! I've enjoyed reading about who you are. I'm fifty five, fat and fabulous, too. ;-) I don't have an understanding husband so I get to do whatever I want. Just me and the fat cat. I will enter your name in the pot to win my Very Cherry earrings giveaway and you will forever think of me in Sunnay Fl should you be the lucky winner! Happy OWOH! When you have a moment, come visit with me...and I'll be back here again too! So nice to meet you Sherry! You are very talented and I would love to win any one of your precious items. The paper doll is very intriguing! Must come back after owoh for a better look! Wow, what amazing gifts! Everything is so beautiful, I just love the cross stitch/mixed media piece! Thanks for having me over, it was a pleasure to you! Hope you have oodles of fun during OWOH. Wow, everything is great. I love the quilted bag ensemble, and the Fabric Collage is amazing. Wow, I am just smitten with the detail and work you put into the collage. Thanks for your generosity and participation in the event. Count me in please. All your "stuff" is awesome!! Please count me in for a chance to win! BTW, it's great being PHAT and 50 or 40 (me) don't ya think?LOL! You giveaway is so fun. Please include me in your drawing. Great blog and nice to meet you.Awesome giveaway. Please enter me and stop by my blog too. I hope you are having fun with the OWOH event and thanks.I'm number 96 on the list. Stick me in the pot and swirl me around too. Great prizes, Sherry! I'd be pleased to win any one of them! You have made me smile ~ and you are offering such lovely gifts. ❄ So nice to have met you through OWOH, Sherry ~ I'm playing too ~ # 225 on the list. Wonderful gifts my blogging friend! Have a wonderful evening! beautiful prizes!! I would be thrilled to win.. Thank-you for the chance..
Oh my goodness! Clarinda is a give-away? I LOVE HER!!! I've been following you for a while and just fell in love with her when you originally posted her. Your door prizes are amazing! Count me in the drawing! Wow Sherry! You outdid yourself here. I own a few of your pieces and prize them. I wouldn't mind owning another. ; ) Please enter my name in the hat and come to my blog and enter-#348. oh wow Sherry what an amzing array of prizes.....they are fantastic, i love your little paper doll , she looks shes dancing !! Oh my! You're being very generous with four giveaways! :) Thanks for the chance to win one. I must say I just love that little bag. I shows how much work you put in there. Please count me in Sherry. What wonderful items you have chosen for your giveaway. I joined the OWOH event also. Pop on over for your chance to win my giveaway. wow ! please count me in ! and pop over to my blog if you want to participate in my giveaway ! 4 great prizes, how generous of you. Thank you. Hi Sherry, great prizes. Thanks so much for the opportunity to win them. Ohhh this purse is wonderful, I hope to win it. This is a gorgeous giveaway, Sherry! Oh what a lovely bag and pin cushion! I also make bags, purses and wallets! Visit me for my giveaways when you get time! What wonderful items you have! Love the bag and the paper doll! huge gift, hope to win. Oh I love all your prizes, please include me in, I'd be happy for a chance for any of them!!!!!! And thank you for stopping by and leaving your kind comment! I appreciate it. You are such a talented artist, Sherry! 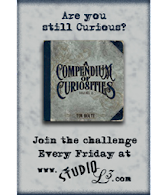 I love everything you have created for this event (plus the Tim Holtz - of course I love Tim Holtz!). Thank you for participating in OWOH this final year. Please stop by my blog, #51 on the list, if you get a chance. What wonderful prizes and a fun blog! It's wonderful to meet you! Thank you for offering so many wonderful gifts! I hope I am lucky enough to win one of them. I think the quilted purse is AMAZING!!! I just love your work! Wow! You do a bit of everything, don't you? What fun giveaways! You are quite a crafter and hope I win one of them! Very nice to meet you and thank you for stopping by my post earlier. What a great selection of goodies, thanks for the chance to win in your OWOH giveaway. A great blog. Thanks for being part of OWOH . What a wonderful giveaway. All of your giveaway items are fabulous. Thank you for the chance to win them. OMG Sherry!! Is there no end to your creative talents!! Love your Fabric Rag Quilt Bag & Pin cushion!! ...and yes the past year has gone to quickly!! I'm enjoying the diversity of art in OWOH. I not a participant in it but visiting is just as nice. Ciao! I am so happy to meet you today on the wings of OWOH! Thanks for a chance to win your wonderful giveaways!! I had NO idea you made little art quilts. Yours is fabulous. It's so good to see a familiar face and appreciate everything you do. I'm just tickled I got to see something besides your desk. You make BEAUTIFUL art. I'm # 11, and would love to have you stop by. Your beautiful Clarinda doll is a wonderful gift and I´ll be more than happy to win it, or any other prize during this journey! I hope you want to visit my page as well and participate in my giveaway too. sweet blog & so many lovely offerings! Textiles and fabric...love that combination in mixed media. please visit Thistle Cove Farm when you've time. Such wonderful offerings! Please count me in! I would be honored to win! Hello Sherry! I love your patchwork, so clever! Thanks for sharing! Fabulous prizes, thank you for the chance to win! Thank you for your comment on my blog, it's nice to meet you! I love your prizes, especially your paper doll. She's so tricky! I would love to win one of your gifts, especially the bag and pin cushion! Please enter me in your giveaway, and stop by my blog to enter mine! Hello from Oregon! I had a wonderful time peeking around in your blog. Thanks for the chance to win one of your prizes. They are all wonderful. :) Gale Feel free to visit my blog and enter the giveaway if you get a chance. What lovely prizes! Thanks for visiting my blog! wow! 4 prizes! please enter me in your draw, and come enter mine! 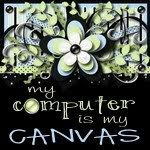 Hi Sherry, So great to see you here, Thanks for entering my giveaway and YES YES YES count me in! Hi Sherry! 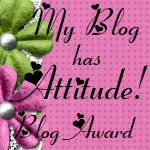 Thank so much for visiting my blogs and giving me the opportunity to visit your absolutely fabo blog! It's fantastic! Hope you're having a great time flying through the OWOH! I know I am! I've bookmarked your blog and I shall be back! Hello from Navada! I love your giveaway! Please count me in! Thank you! Wow, beautiful work! Thanks for visiting my blog as well, great to meet fellow creatives. You are so kind to offer all those prizes...I would love to use that distress ink - love it! Hello Sherry from Las Vegas, NV. Wow...fabulous door prizes...love them all. I hope you're having a great time flying from blog to blog...well off I go. Thanks so much for the beautiful offerings. Oh my gosh, your prizes are amazing!!! Happy OWOH! That purse is soooo beautiful--you are so talented! I love all of your offerings. Thanks for participating! Nice to meet you Sherry. Great prizes, I would love a chance to win. Love the little bags, So cute! 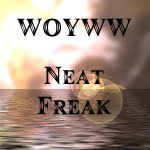 My blog, Not much Yet! Greetings from Cody, Wyoming! Isn't this fun? What a nice blog you have and so many fun things to see. I love your gifts...all of them. I will be back to browser some more when the event is over! Please enter me in your drawing. I’m so glad you stopped by to visit and enter my giveaway! What a great bunch of gifts you're offering -- I would be happy to win any of them. If I won your paper doll, I know just who I would give it to! I will be back to visit you; meanwhile, have fun during OWOH! Hi Nice To meet you ! Love your blog ! I am also participating in owoh too!! hopefully you can visit my blog if you get the chance .My giveaway is a ooak polymer bunting baby. Wow what fabulous door prizes. Hi Sherry! 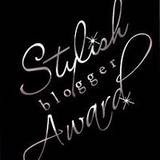 Crossing my fingers, toes and brows and hope to win! you are so creative sherry. hoping i get to keep one of your artworks! Thanks for the opportunity to win! Blessings always. I've really enjoyed finding your blog! Your art is so varied and wonderful, I will definitely be back! Thank you so much for the chance to win one of your great prizes! My goodness Sherry, how many wonderfull things you are giving away--I totally love the little bag-how sweet. Thanks for your also sweet visit. I will love to be entered in this fabolous prizez. Sherry, I enjoyed your comments on my blog! I love the give aways you have chosen. It will be difficult to decide! Hi Sherry, nice to run across you again. I never realized I hadn't been a follower until now! Geesh! Must be that old timers disease! Wow what a cool blog! I'll be back to see you sometime. Wow ! 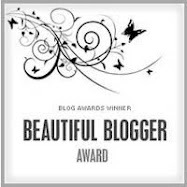 what a givaway, count me in, it's so nice to meet you and your blog. If you have time pop over to me and visit my givaway. I love your prizes - so original! Greetings from Australia, it's great to meet you and visit your blog. I would love to be the lucky winner of your lovely and generous gifts. Please come by #9 and say hello. Hi Sherry your giveaway is amazing but OMG especially I love your paper doll so much she's fantastic. I'm so behind on my hopping I must have missed her! I recognise the fabby house hanging though! I really like your giveaway, especially the distressing inks. Please stop by and visit my OWOH giveaway (#419). I love your giveaways!!! they are so gorgeous. and of course, I would love to play with the distress inks and alcohol inks!!! i love your giveaways. i would love love love that bag! Your giveaways are fantastic. The Fabric Rag Quilt Bag is so funky! Please stop by my blog, Art of Humungous Porportions. Please enter me in your lovely giveaway !!! Wow, what great giveaways...I love them all and could use them all. I have just started some hand sewing on mini bears...the bag woulf be perfect. I would love to try the inks too. As I said all are great. Please come to visit my blog. How nice to meet you Sherry- and what fun giveaway prizes you have created. Thanks for the chance to win your lovely things. Have a fabulous time at the blogging festival- I am sure that you are meeting lots of interesting people along the way. Hello from Singapore. I'm so into bags. I make fabric bags for sale but yours are so interesting and crafty. Thankyou for your mixed giveaway too!! What's On Your Workdesk, Wednesday 5th Jan 2011?